Take a trip back in time to the sensational 1970s-the Me Decade of op and pop art-in this two-part tale of ART OPS! Learn the true story behind the original Art Operative team and what happened between Gina and Reggie’s father in part one of “Modern Love,” featuring sizzling art by guest-artist Eduardo Risso. The next installment of the smash-hit Marvel Artist Select Series is here! 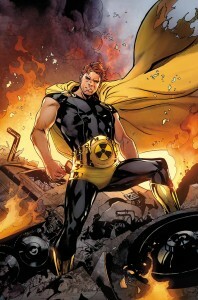 Each deluxe hardcover in this series features a collection of issues never-before released together. 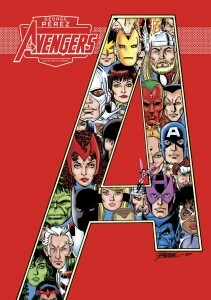 This oversized, limited-edition hardcover celebrates the legendary George Pérez’s time on The Avengers with a hand-curated selection of Pérez’s favorite issues chosen by the artist himself. Each copy of this 999-copy limited-edition hardcover is slip-cased, hand-numbered, and signed by George Pérez! 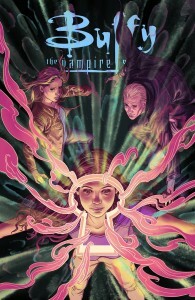 Defeating the demon lords has been priority one for Buffy and team-to stop the continual opening of portals to dangerous demon dimensions . . . Suddenly there is a new priority one: closing a portal-and one portal in particular. Will the team be lost? 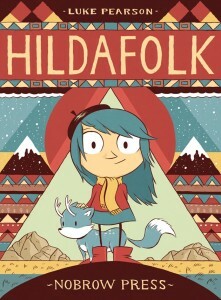 HILDAFOLK #1 | Review of Luke Pearson’s previews Hilda tales. 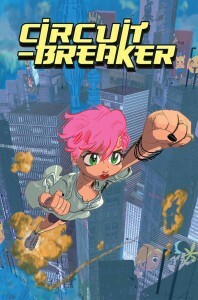 A comic book great for kids or adults, filled with humor, adventure, and thrills. Hilda sits in her tent listening to the thunder passing overhead when she hears a bell. As she hurtles towards the vanishing tinkling sound, Hilda unwittingly embarks on an adventure into strange worlds ruled by magical forces. Luke Pearson tells this exciting tale for kids and adults alike. For upcoming EVENTS check our event’s section.